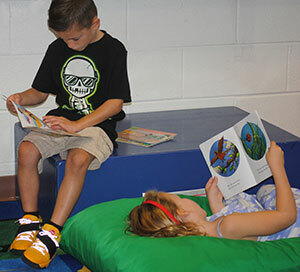 Alternative seating areas allow students to choose seating that makes reading more enjoyable. As you may know, the Warwick Valley Central School District has embarked on a district-wide initiative called “#TheirFuture,” the goal of which is to develop a shared vision for the future of our school district. This shared vision includes the values, ideas and opinions of Board of Education members, administrators, teachers, students, parents and community members, who will continue to contribute to the process of redesigning the WVCSD education program. A big part of this process is identifying our “North Star” – a point that we can collectively aim for in redesigning our district to be a place of great learning – one that aligns with the demands of the 21st century and affords our students every opportunity for success in life after high school. Once that aiming point, or North Star, is identified and agreed upon, it will guide the district over the foreseeable future. Teams of educators will work together – and, in fact, have already begun this work – to research, design, prototype, pilot and assess new practices and programs that align with this all-district North Star vision. 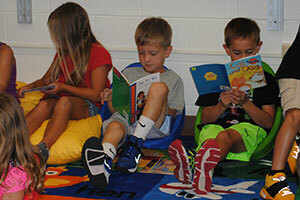 These students get comfortable in the classroom, enjoying their reading time. Currently, the District’s North Star has been drafted, and will be considered for adoption by the Board of Education at an upcoming board meeting. In the meantime, look for articles on this website and elsewhere that carry the #TheirFuture hashtag. These stories will illustrate the District’s commitment to aligning education in our classrooms with our community’s shared vision of great learning! 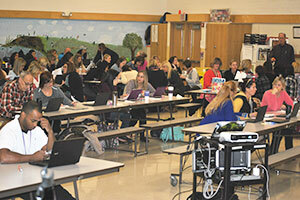 Teachers work to hone the District’s North Star during a Nov. Superintendent’s Conference Day. 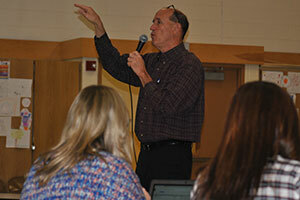 Grant Lichtman, a nationally recognized leader in the drive to transform K-12 education, works with Warwick teachers during a recent Conference Day. 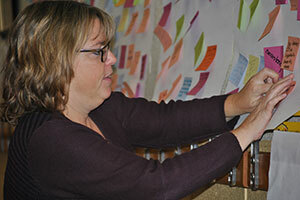 A teacher posts her thoughts to the idea board during a recent work session on the North Star.